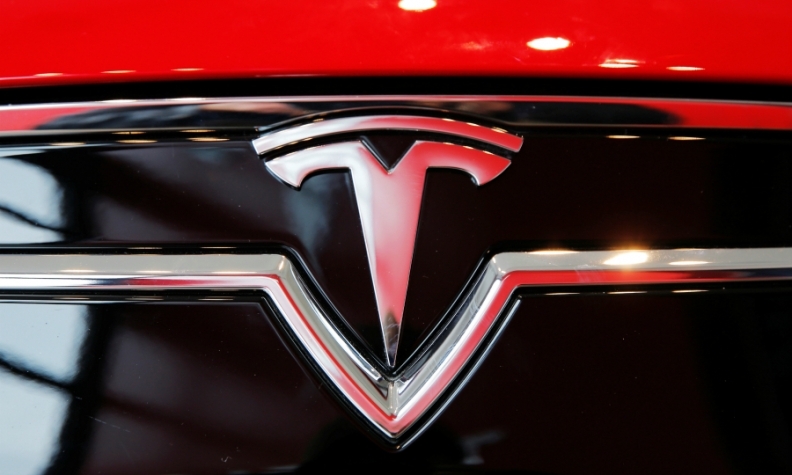 FRANKFURT -- Tesla said it is seeking to resolve outstanding issues with legacy customers of its Grohmann engineering unit that included BMW Group, Volkswagen Group and Mercedes-Benz owner Daimler. The move comes after a takeover of the German company by the Silicon Valley-based carmaker resulted in a shift in management priorities toward Tesla projects. Tesla boss Elon Musk ordered the company's main management resources to be devoted toward pushing expansion of Tesla's production facilities. "We have been in contact with every client for weeks on this issue and are on the way to finding individual solutions with each of them," Tesla said in a statement on Thursday. Before being bought by Tesla in November, Grohmann helped clients to build highly automated and efficient factories, including battery assembly lines for electric cars. The issue of how to deal with Grohmann's existing clients resulted in the departure of Klaus Grohmann, who was ousted at the end of March, only months after selling his company to Tesla. The U.S. company is counting on Grohmann Engineering's automation and engineering expertise to help it ramp up production to 500,000 cars per year by 2018 through the design of ultra-efficient factories. Founder Klaus Grohmann disagreed with Musk's demands to focus management attention on Tesla projects to the detriment of Grohmann Engineering's legacy clients, which included supplier Robert Bosch, chipmaker Intel, and pharmaceutical firms Abbott Laboratories and Roche Holding in addition to the German carmakers. "We believe that Grohmann will honor its contractual obligations toward us in future," BMW said in a statement on Thursday, adding that it had not been formally notified about any changes to the contractual arrangements. Daimler and Volkswagen declined to comment.